The cement accident lawyers of The Orlow Firm in Brooklyn have more than 120 years of combined experience and have handled numerous third-party claims throughout their careers. When you work with your law firm, you will speak directly with a named partner at the firm. We believe you should expect that of any law firm that you hire for a work accident. 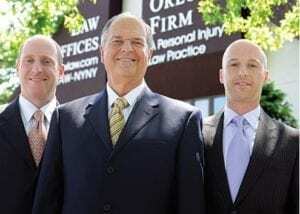 If you or a loved one has been injured at work, contact Brooklyn personal injury lawyers of The Orlow Firm. We will thoroughly evaluate your case to determine whether you are entitled to third-party injury compensation in addition to workers’ compensation benefits. We can go to you if you cannot come to us.